Industrial rents in the Greater Toronto Area (GTA) jumped 15 per cent year-over-year during 2018 and could easily rise by that much again this year. A lack of land to build on and strong tenant demand are the driving forces behind the rent increase from $6.31 to $7.26 per square foot, as well as pushing down the availability rate by 59 basis points to 1.4 per cent year-over-year, according to Colliers’ fourth-quarter 2018 report. “Occupiers in the GTA should plan ahead,” said Peter Garrigan, Colliers’ managing director of the industrial practice group for the Toronto region. “They need to understand timing of new construction and how that lines up with their needs and lease expiries. Garrigan cited high development costs and charges, and municipal approvals taking longer to obtain than in the past, as other reasons for why new industrial supply isn’t keeping up with demand. More than 3.2 million square feet of industrial space was absorbed in the last quarter. Of that, 75 per cent occurred in the GTA West markets of Brampton, Burlington, Caledon, Halton Hills, Milton, Mississauga and Oakville from new supply completed in the quarter. Almost eight million square feet of industrial space is under construction in the GTA, though the region could absorb more than that owing to the low availability rate. Valuations of industrial properties are also at historical highs in the GTA, according to Garrigan. “Money is cheap and there are a lot of people who want to purchase industrial real estate, from an occupier standpoint and from an investment standpoint,” he said. “The occupier market for purchasing is very, very strong. Garrigan said Colliers did fewer industrial transactions in 2018, but the deal size increased and the real estate services organization had a record year. Supply and demand imbalances continue to fuel speculative developments, including a new 850,000-square-foot facility on Coleraine Drive in Caledon which has been secured by United Parcel Service. Caledon is also the construction site for a new million-square-foot Amazon distribution centre, though that’s a purpose-built facility. The GTA Central market — which includes East York, Etobicoke, North York, Scarborough, Toronto and York — has the lowest availability rate at 0.8 per cent. Average asking net rents in the GTA Central surpassed seven dollars per square foot for the first time, and increased 23 per cent on an annually compounded basis between 2016 and 2018. Compounded rental growth was just 0.8 per cent from 2014 to 2016. The biggest lease signings in the GTA Central were: a 184,373-square-foot extension by Tyco Security Products at 95 Bridgeland Ave. in North York; and a 126,539-square-foot head lease byYaya Foods Corp. at 51 Rexdale Blvd. in Etobicoke. Approximately 1.9 million square feet of new development is scheduled for completion in 2019, which is expected to help alleviate some of the pent-up demand. The two biggest developments are: ONE Properties’ 823,588-square-foot property at 2233 Sheppard Ave. W.; and First Gulf’s 600,000-square-foot Sigma East Business Park at 1395 Tapscott Rd. in Toronto. Private investors made up 75 per cent of the transactions valued at $10 million or more in the fourth quarter in the GTA Central. The availability rate in the GTA East markets of Ajax, Oshawa, Pickering and Whitby decreased 21 basis points quarter-over-quarter to 1.3 per cent, the second-lowest rate ever. The rate decreased by 152 basis points year-over-year, the largest reduction in the GTA. 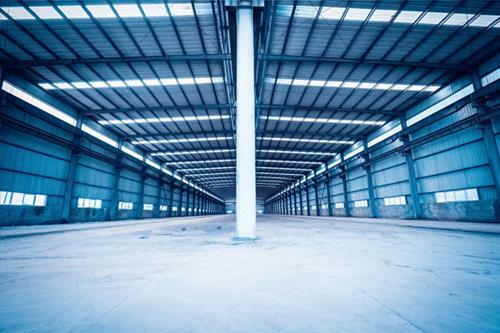 There are no major industrial properties under construction at the moment in the GTA East, while 35,254 square feet of space was absorbed in the fourth quarter. One of the GTA’s largest fourth-quarter investment transactions took place in Whitby, as Summit Industrial Income REIT (SMU-UN-T) purchased 1601-1635 Tricont Avenue for $26.6 million, at $103 per square foot. The deal was part of a larger portfolio transaction that took place between Summit and LaSalle Investment Management. The total portfolio consisted of five properties throughout Ontario, totalling more than 840,000 square feet, which sold for $91.5 million. Asking net rental rates in the GTA North markets of Aurora, Markham, Newmarket, Richmond Hill, Vaughan and Whitchurch-Stouffville increased to $7.63 per square foot, the highest in the GTA for the seventh consecutive quarter. The GTA North has an availability rate of 1.2 per cent after 741,250 square feet of industrial space was absorbed in the fourth quarter. There’s 970,104 square feet of industrial space under construction. More than 1.3 million square feet of new supply was added in Vaughan in the fourth quarter. Vaughan was also home to the GTA North’s most notable investment transaction and lease signing. There was a multi-property sale in which Canvas Developments purchased 310, 330 and 346 Millway Ave. for a combined $21.35 million, at $209 per square foot. A head lease signing for 224,974 square feet by Owen & Company took place at 7233 Highway 27. Average asking net rental rates in the GTA West have increased consistently over the past three years, and were up by 13 per cent in 2018. The availability rate held steady in the fourth quarter at 1.9 per cent, and there are no signs of tenant demand slowing down. “It has transit, access to labour, Pearson International Airport and intermodal transportation,” Garrigan said of the GTA West, which should continue as the GTA’s biggest industrial market. There were 2.42 million square feet of industrial space absorbed in the fourth quarter, and 4.79 million square feet is under construction. The biggest developments underway are: Blackwood Partners’ 966,242-square-foot andHealthcare of Ontario Pension Plan’s 750,000-square-foot and 450,000-square-foot properties on Coleraine Drive in Caledon; ONE Properties’ 416,975 square feet at 174 Kennedy Rd. S. in Brampton; H&R REIT’s (HR-UN-T) 341,563 square feet at 1 Merchant Rd. in Caledon; QuadReal’s 324,708 square feet at 20 Westbridge Dr. in Halton Hills; and Orlando Corporation’s 303,718 square feet at 2299 Hogan Dr. and 303,653 square feet at 6050 Millcreek Dr. in Mississauga. The GTA West made up the largest share of leasing activity in the GTA, comprising more than 50 per cent of all direct leasing availabilities. These included: a 303,000-square-foot head lease by National Logistics Services at 2299 Hogan Dr. in Mississauga; a 273,406-square-foot head lease by goTRG at 8460 Mount Pleasant Way in Milton; a 174,314-square-foot head lease by DB Schenker at 6 Manchester Court in Caledon; a 148,795-square-foot extension by Anatolia Tile & Stone at 15 Bramalea Rd. in Brampton; and a 140,552-square-foot extension by Staples Canada at 6275 Northwest Dr. in Mississauga. Significant fourth-quarter transactions included: Pure Industrial Real Estate Trust’s purchase of a 405,000-square-foot property at 2 Bramkay St. for $78 million; and Summit’s purchase of 5101 Orbitor Drive for $33.5 million.